The LS-370 makes high-quality sushi the same way that a sushi chef squeezes rice lighty until it is shaped like a rectangle. 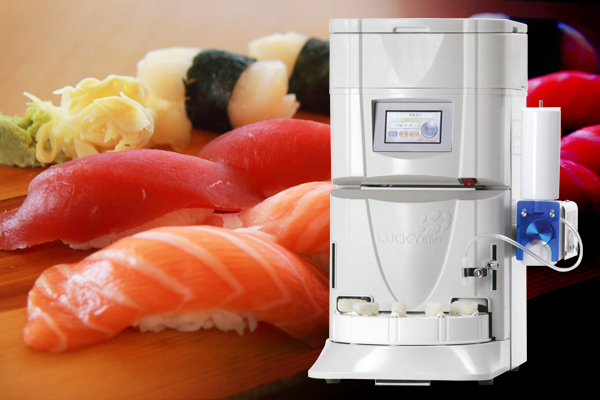 The LS-370 is the world’s first sushi robot which can control 13g of sushi and also maintaining a consistent shape. The rice compression strength, density and warmth can be controlled. Controlling the amount of wasabi is easily accessible through the touch LCD monitor. 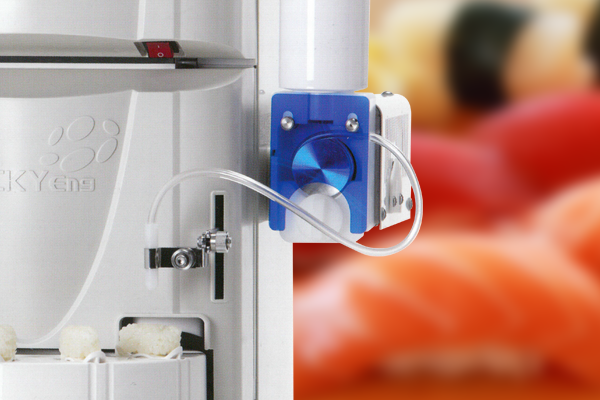 The LS-370 defeats that problem by airy shari, improving taste and quality. This technology is the first of its kind. By lowering the rice port, we have increased productivity and output. We have reduced repair time and costs significantly for the LS-370 by using moldmanufacture.